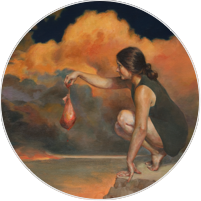 Tanya Harsch studied classical drawing and painting at both the Florence Acadmy in Florence, Italy, and the Ravenswood Atelier, in Chicago, IL. 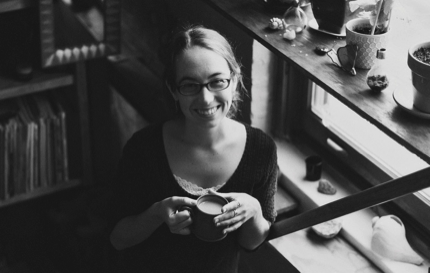 Originally from Wisconsin, she also holds a BA in English Literature from Lawrence University. She is a signature member of American Women Artists, and holds membership with Oil Painters of America, American Artists Professional League, the National Portrait Society, Society of Children's Book Writers and Illustrators, and Poets and Artist. She works in oils on linen or panel, and her work can be found in private collections around the world. She currently works out of her studio in Appleton, Maine. 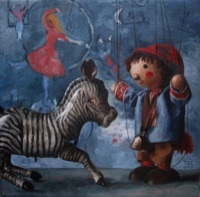 A classically trained oil painter working out of New England, I paint a lot of toys. My inner child is delightfully entrenched in kindergarten and doesn't plan on leaving any time soon. All images on this site are property of the artist unless otherwise stated or property of an external link.